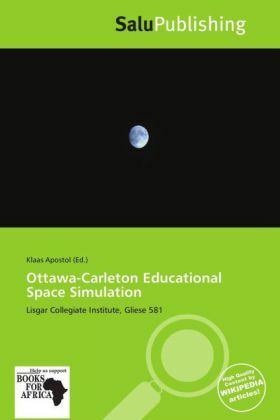 The Ottawa-Carleton Educational Space Simulation (OCESS), unofficially known as "Spacesim", is a student-run organization within the Ottawa-Carleton District School Board that operates primarily out of Lisgar Collegiate Institute. The chief activity of the club is to educate youth about the sciences with relation to space. The Ottawa-Carleton Educational Space Simulation, or Spacesim, is a non-profit organization that promotes a greater understanding of space exploration and research in students of all ages. By conducting a 120-hour mission to a chosen planet, moon, or asteroid each year, Spacesim strives to foster initiative and responsibility in its members, while instilling love and respect for space and science.